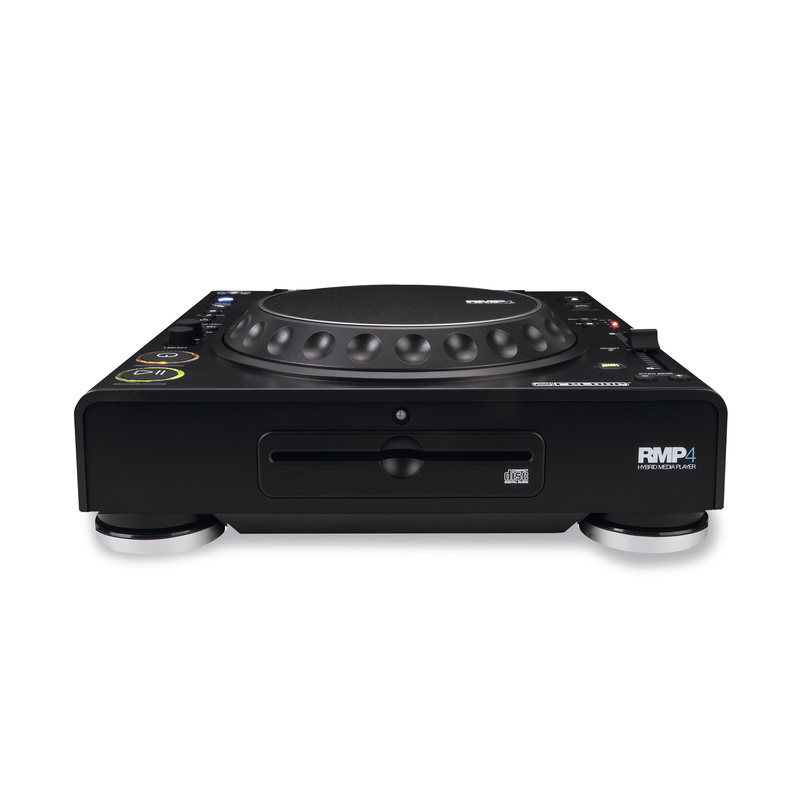 The RMP-4 hybrid media player from Reloop is the latest addition to the successful RMP series and an ideal combination of CD player, USB player and performance software controller. 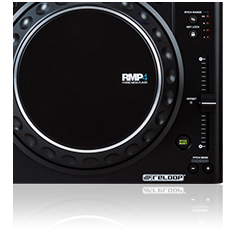 The RMP-4 has four powerful performance modes – Hot Cue, Hot Loop, Loop Roll and Sampler – which allow you to individualize your mix. 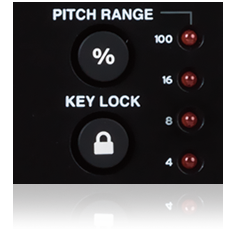 Each mode contains 8 trigger pads for dynamic access in the relevant mode. 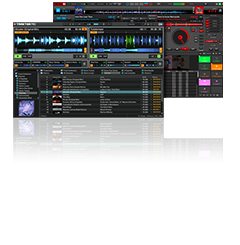 In Hot Cue and Hot Loop mode you can store, trigger and delete your hot cues/loops. 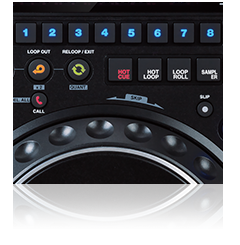 In Loop Roll mode it is possible to trigger up to 8 different loop roll lengths, varying from 1/32 to 4/1 beats. 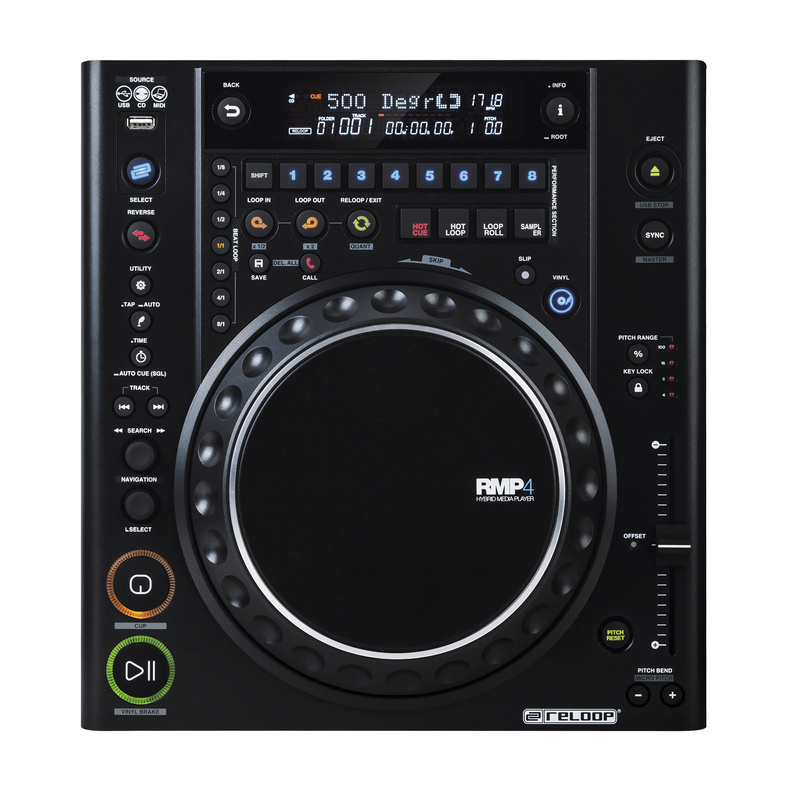 These three modes can be further enhanced thanks to the RMP-4’s integrated SLIP mode - for individual remixes on the fly. 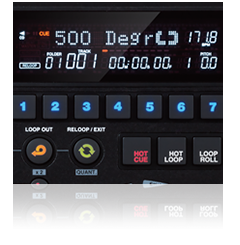 The Sampler Mode completes the set and gives access to up to 8 „one shot“ samples and seamless loops. 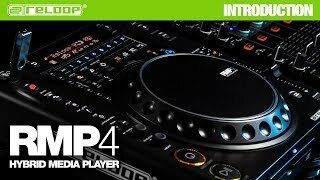 By using two RMP-4 players together, the performance possibilities are taken even further thanks to the smart-link connection. 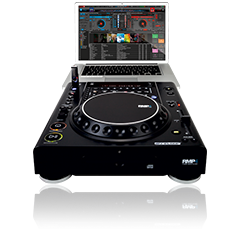 In Sync Mode both tracks are synchronised via master/slave setting, while the smart-link connection allows you to access one USB source or DJ software at the same time. 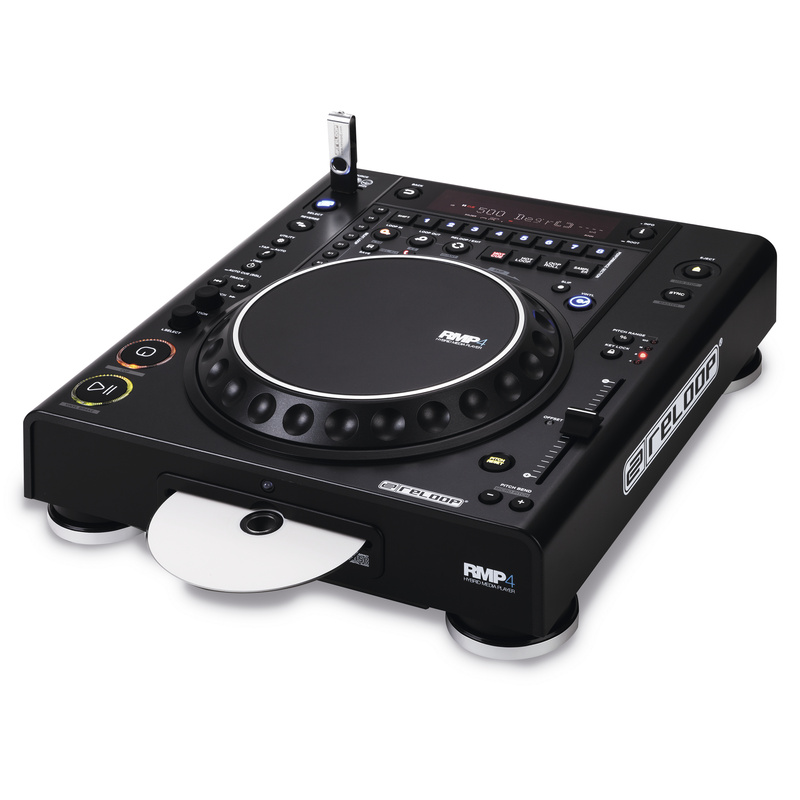 MIDI mappings for many DJ softwares are available as download. The large, bright DotMatrix VFD display shows all essential track meta data, which loads quickly and automatically. 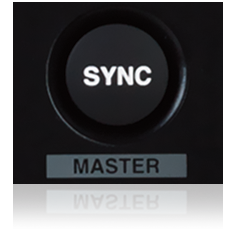 Track library navigation is managed by the screen’s adjacent push encoder, which makes navigating even vast music libraries trouble-free. 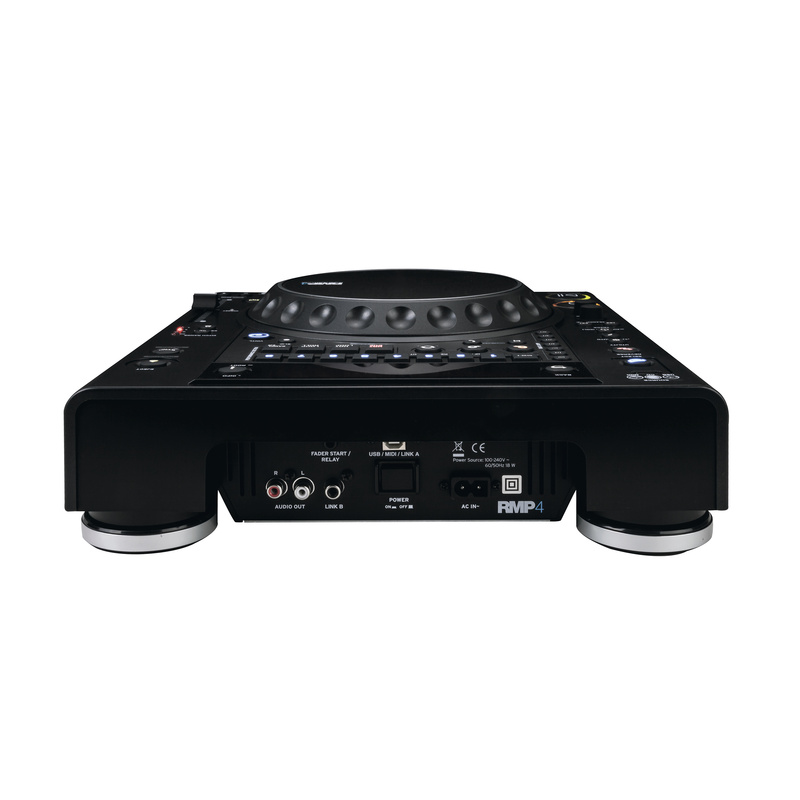 An extensive setup menu can be used to apply individual settings. 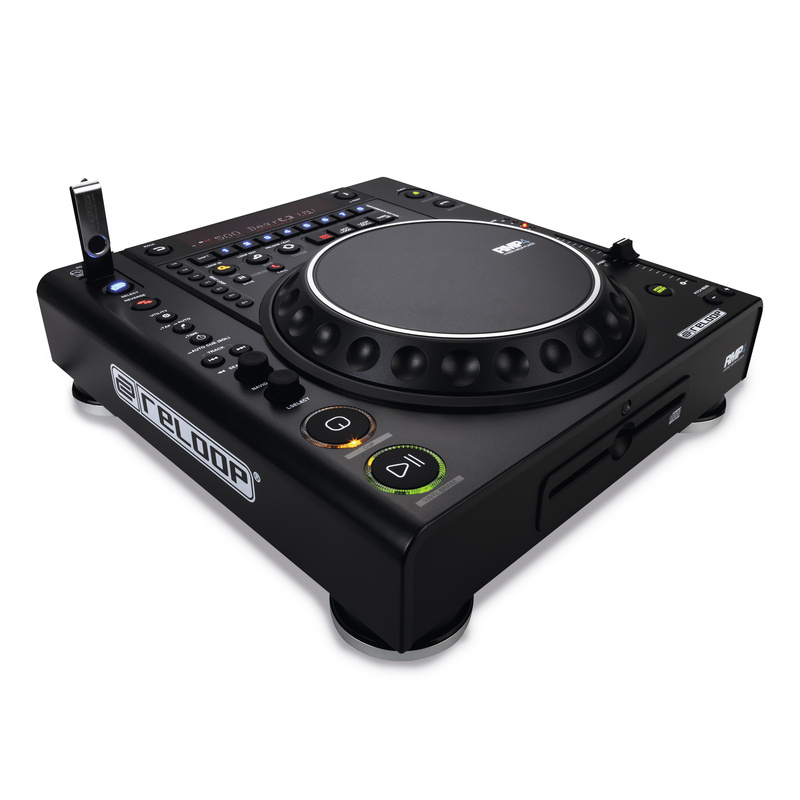 A large dual-zone jog wheel with a touch-sensitive surface and an accompanying high-resolution 100mm pitch fader allow for manual beat matching to +/- 0.01%. 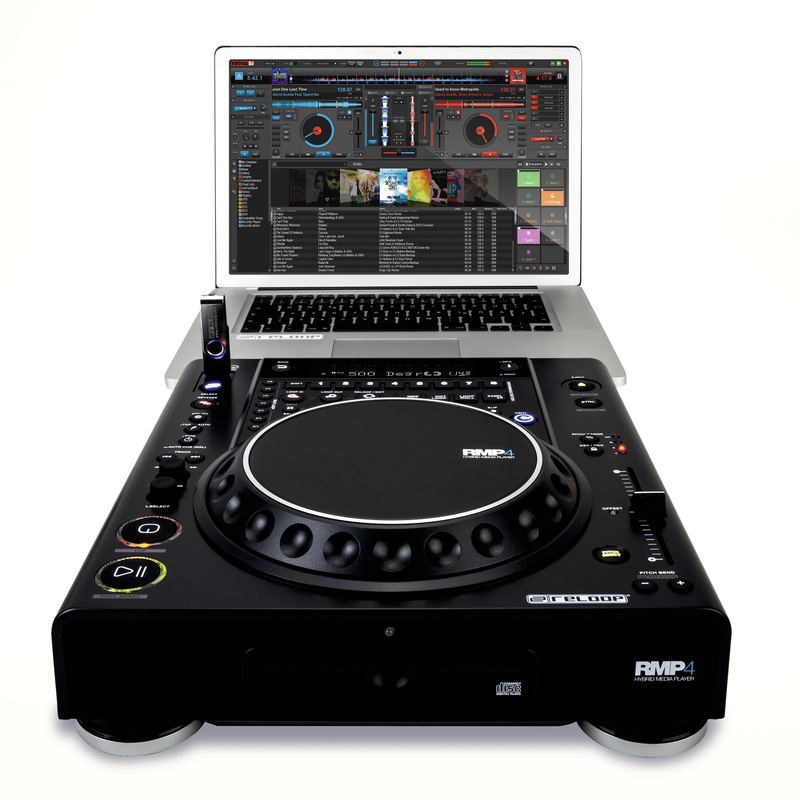 All of this packed in a robust constructed tabletop design makes the RMP-4 a powerful next generation hybrid controller. 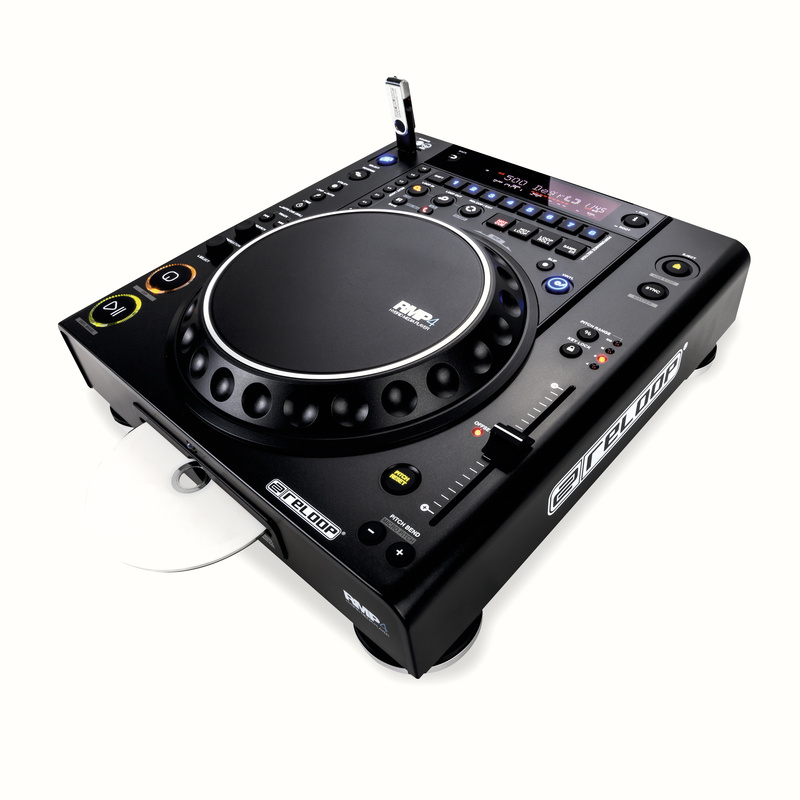 Mappings are available in the download section.